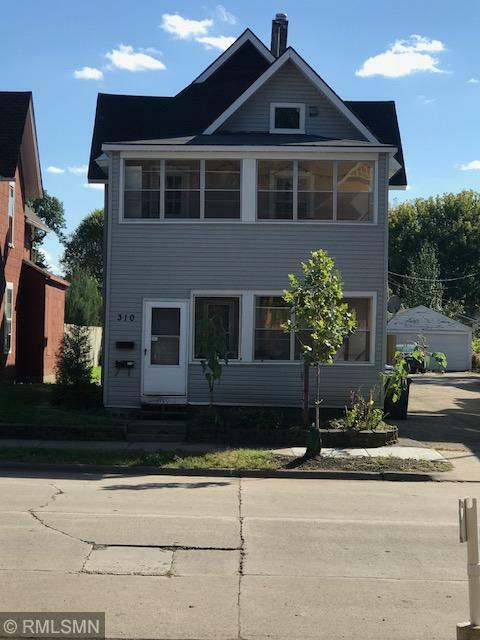 Commercially zoned duplex located in prime NE Mpls location on 13th Avenue. Lots of options with this property. Situated on large 40 x 165 lot with 1200 SF detached garage/studio. Updated apartments with in-unit laundry. Property is located in a vibrant Minneapolis location, in the heart of the NE Mpls Arts District. Steps from numerous restaurants, bars, breweries and galleries. Minutes to downtown Mpls and the U of M. Bring your ideas to this terrific opportunity. Directions - University Avenue NE to 13th Avenue NE west 50 yards to 310. The content relating to real estate for sale in this Web site comes in part from the Internet Data eXchange ("IDX") program of Regional Multiple Listing Service (MN) - Northstar MLS. Real estate listings held by brokers other than the website owner are marked with the IDX Logo and detailed information about each listing includes the name of the listing broker. The information provided by this website is for the personal, non-commercial use of consumers and may not be used for any purpose other than to identify prospective properties consumers may be interested in purchasing. Some properties which appear for sale on this website may subsequently have sold or may no longer be available. This content was last updated on 04/23/2019 07:00 All information is subject to change and is supplied by seller and other third parties and should be independently verified. Information is deemed reliable but is not guaranteed.